We all know someone who is super crafty. That person who can take junk and turn it into something amazing and beautiful. When someone is that talented, it can seem intimidating to get them a present. Obviously you can’t make them anything! But what kind of gifts would be good for a crafter? Check out this fun craft lover gift guide for ideas this holiday season! And enter to win a Hobby Lobby Gift Card at the bottom! With all the holidays just around the corner, we’ve teamed up with a few blogger friends for a fun giveaway opportunity for our readers! 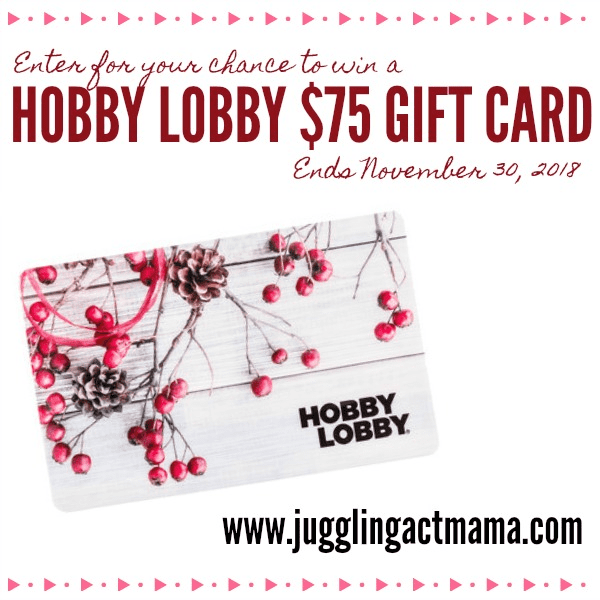 Enter using the Rafflecopter widget below for your chance to win a $75 gift card at Hobby Lobby! I’d get some holiday decorations for my living room! I am looking at Marquee letters at Hobby Lobby! Fun! I love that marquee signs allow you to change out your signs whenever you want!